Despite what you may think, not all supplements and supplement companies are the same. Learn how to spot 9 of the most common, greediest supplement scams in this episode of BioTrust Radio, our weekly podcast dedicated to answering your questions related to health, fitness, nutrition, and supplements so you can get better results, faster! In today’s show, Shawn and Tim give you an insider’s view of the most common supplement scams, uncovering some of the industry’s most dubious “dirty truths”. When it comes to buying supplements, consumer confidence is as high as ever, with 84% of American adults expressing overall confidence in the safety, quality, and effectiveness of dietary supplements. But the old adage, “you get what you pay for”, holds true. Not all supplements and supplement companies are created equally. Companies often cut corners—sometimes negligently so—by implementing dubious supplement scams and shady practices all in an effort to increase their profit margins. 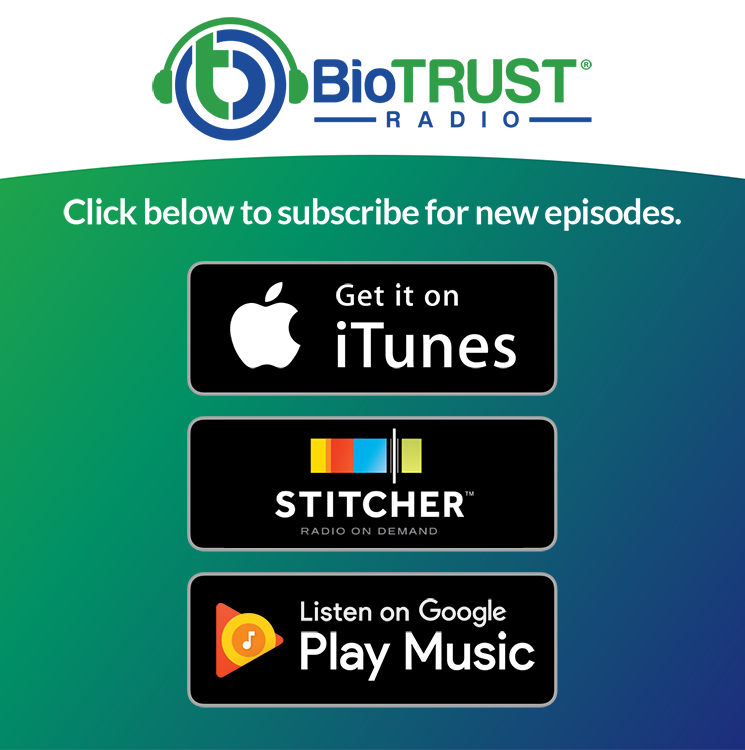 At BioTrust, we take a hard stance against these supplement scams and pocket-padding practices, and in this episode of BioTrust Radio, Shawn and Tim pull back the figurative wool, giving you an insider’s look into the industry’s most common supplement scams. We’ll cover these important topics, supplement scams, and more. Enjoy! Shawn: Hey, we’re back. This is a Tim and Shawn again. We’re in for Part 2. At this point we’re going to get into the supplement scams and loopholes, and this is where I’m going to get passionate here. I know Tim is too. We want to educate you, empower you. We talked in the last segment about what BioTrust does and how we do the right thing from start to finish, but this is where we can talk about what some other companies are doing and it might shock you.Tim: Yeah, I agree. Like you said, we get a little fired up about this and my palms are getting a little sweaty here. Like when you’re really passionate about something and there’s other people or things that are not doing things the right way, it kind of gets underneath your skin, and that’s where consumer confidence can start to fade. So, one of the things that we had foreshadowed in the first part of this was talking about co-manufacturers and how they’re not all created equally, and how some supplement companies are not putting in the work. They don’t have true research and development teams. They’re more on the marketing side, and that’s where I think consumer confidence can start to fade and consumer expectations aren’t met because wild claims are made and the products are not up to spec, so to speak. I’m going to let you kind of run with it and start wherever you want, but one place might be talking about the different levels of co-mans. Shawn: Yeah, exactly. So, at BioTrust, we only use the GMP-certified manufacturing facilities, which is good manufacturing practices, and we only use ones that have been FDA audited. Then we do a desk audit, where we send a lot of questions out to them. They have to pass that. Then we have boots on the ground audits, where we actually go in pretty heavily for several days, audit that facility, kind of like an FDA agent would, and we make sure that they’re up to spec in everything. That they’re an A+. And if they’re an A, then maybe we’ll work with them and help them get to that A+. But we don’t even use A-. Most people just go with whatever’s cheapest. Can you make the product? Can you make it at this price? And yes, using the best of the best always costs. We use the best of the best labs, the best of the best ingredients suppliers, and the best of the best manufacturers. People are constantly cutting corners to increase their margin and make a cheaper product, and make more money. So that’s the thing. So when these guys just turn over a formulation to this contract manufacturer, to the cheapest one, they’re doing everything, and they don’t have control over it. They don’t know what the ingredients are, they don’t have specs on those ingredients. They’re not necessarily safe, they’re not necessarily tested, and they haven’t done studies on them. So, just start to finish, it’s kind of confusing what’s happening at this contract manufacturer because they’re really the only point of contact with these kind of marketing-based supplement companies. Tim: Yeah, so that’s really good foreshadowing. We can see that it’s possible to cut corners, and by that we mean save a lot of money. So, a question that might come up from consumers is, “Well how does that happen?” and so we want to go into a few reasons or a few ways that people or companies might be able to do that. One thing that we emphasized in the first part of this was that a good company is going into the research, the scientific research, and they’re choosing ingredients that have been shown to be effective in healthy humans. But not only are they just finding ingredients, they’re finding the correct form and providing them in the right amount. There’s different forms of ingredients out there, and we talked a little bit about spiking adulteration and things like that. One of the issues, one of the most common issues in the supplement industry is something called dry-labbing. So, let’s talk a little bit about dry-labbing. Shawn: Yeah, very controversial. It definitely happens a lot. A dry-labbing could happen at the ingredient level, at the contract manufacturer finished good level. Sometimes companies might be ignorant about this and there’s other times that companies are complicit with it, sadly. But dry-labbing means, basically the term “dry” means that it’s happening on a computer, like where you’re just typing up the results that you want. Wet-labbing would mean that you’re actually testing things because you’re using liquids to digest certain ingredients, and then put them in these machines and test them. So dry-labbing is really a dark practice that does happen. Some of these ingredients might come from China, that says, “Yeah this tests out,” and then the contract manufacturer takes it and says, “Hey, there’s a document here that says it tests out, so I’m putting it in the product. It was the cheapest thing, so I can make the most money. I can make this for my customer that doesn’t really understand these products, and I can meet their price point, and we can make our margin.” That’s what happens. And then sometimes the supplement company, if they do test—a lot of them don’t even test the finished product—but if they do test, sometimes they use a lab that does meet their testing, that if the FDA came along that they could say, “Look, we tested it,” but they know it’s a dry-labbing facility and they’re paying for that. That’s where, again, like BioTrust only uses elite labs that would never do that for their reputation. That’s how they became elite. And there’s only a handful of these labs that are really on that super top‑tier level that I mentioned. So, yes, sadly that happens, but that does not and will not ever happen at BioTrust. Tim: Right. So that’s one practice that people should be keeping an eye out for, watching out for. And then going back to the forms of ingredients, you certainly have ingredients that are more expensive than others; different forms of these ingredients because of their effectiveness. Let’s maybe go back to what you talked about in the first part of this and when you referred to things like polyphenols and cinnamon and you also mentioned green tea, which has a component called EGCG. So, when we talk about these ingredients, a lot of times it’s not like the whole ingredient. Turmeric is another example. Curcumin is a compound in turmeric that’s really responsible for most of its health benefits. These commonly-termed ingredients have components in them that probably are responsible for most of their health benefits. So you want to find ingredients that are standardized for those things. So we have different forms. Everything probably should be standardized, but maybe there’s cheaper forms that are not appropriately standardized or like you referred to some herbs, it’s not really specifying whether it’s the root or the leaf. So, is it possible to find cheaper alternatives that are maybe not specified? Shawn: Right, exactly. And I can tell you that, for example, with ginkgo you could probably get one that’s 1/10th the price if it’s not the leaf and it’s just the whole plant. But if you want one that’s really not adulterated, not spiked with other things and truly tests out, I mean it’s dramatic. These things are really like 10x, 50x, I mean, it’s crazy the difference in cost when you do the right extraction, make sure it’s not adulterated, you make sure it’s the right part of the plant, you use the right dose. We could get into proprietary blending. Let’s talk about that. So, proprietary blends, there’s another term called “fairy dusting” that happens, that there’s these big proprietary blends that are 10 ingredients, 20 ingredients, anything more than two and they put it in parenthesis and they say it’s equal to this mass, like it’s 1.2 grams of these 20 ingredients. But whatever is listed first is the heaviest in mass, and whatever’s listed last is the least in mass. So the things that are probably “fairy dusted” are towards the end, and it could be 1 mg of this thing that you need 500 mg of. So it’s really sad that companies are doing this, and there’s no way for you, the consumer, to really know how much of these ingredients are in there. But I will say, chances are if you’re seeing proprietary blends, that there’s some deception going on. They’re just listing ingredients for marketing purposes. But at BioTrust, we do very clear what’s called “transparent labeling,” where we show the ingredient, have the genus species, have the plant parts, have the standardization, and then have that level or dose of that ingredient. And you can take all that and say, “I’m going to go check the data” and that syncs up with the data. You can take all that and take it to a lab and you’re going to see that it tests out at the lab. I mean, we’re giving you all the information for you to empower yourself because we’re so sure of our products, we want you to test them. We want you to use them. We don’t care if you take them to a lab because we’re doing all the work to do everything right. So we’re excited when customers really dig in because that’s where we’re going to set ourselves apart. Tim: Absolutely. So, just to kind of summarize there, the form of the ingredient has to be the appropriate form and has to have the right bioactives. We can get into bioavailability as well in just a second, but it has to be provided in the right amount. And so what we’re saying is that you need to be able to know, by looking at the label, if the ingredient is provided in the right amount. For instance, if a study showed that taking 500 mg of this herb twice daily is necessary to derive the benefits that you want, then it needs to say that on the label. If you’re only getting 250 mg twice a day, you can’t expect the same benefit that may be claimed or may be cited in a study. And in a proprietary blend, you may not even know how much is in there, so how can you know what to expect from it. That’s where doses can be misleading or not even provided. A term that you had mentioned a couple times already, Shawn, is “spiked and adulterated.” That’s another way that companies can be misleading. And sometimes that can go on with the company potentially not even knowing. That is still the company’s responsibility to figure that out, but that can happen behind the scenes, right? Shawn: I would say that in that case, that the majority of the time the company is unaware. It really takes like a high level quality control team like we have here at BioTrust, to really dig in and want to do some stuff that actually is not required of you. And here’s where we do that very expensive testing. We’ve spent like hundreds of thousands of dollars just on one ingredient, to dig in and see the species and test out 20 different suppliers and then we’ll find 19 out of 20 suppliers are adulterating that ingredient. And then we’ll go with that 20th one that we see is clean, and also, you’re paying a lot more for that ingredient. So I think a lot of people see this tests out, this is the right ingredient that’s listed, this one’s a much better price than this other guy is charging three times as much and I don’t understand why, so we’re going to buy this one. It tests out. It’s clear. It’s the right ingredient. But they’re not doing this very deep dive on really expensive testing to understand everything about that. It’s the reason they put in those ingredients, the reason they adulterate those ingredients at the supplier level is because 99% of people don’t know. They don’t know what they don’t know. And it’s to make them test out. So that’s where the confusion can come in, and no, I don’t think most of the time they’re aware of that. Tim: Okay. Let’s maybe talk about a couple of examples of the adulteration or the spiking, because you’ve talked about the testing methods, which I think are pretty straightforward. You have this ingredient, let’s take ginkgo for example, and you said you have this top-tier level of testing called HPLC, and you’re testing for certain components of the ginkgo. You can mix in other ingredients that are not ginkgo, to provide those same components that are being tested for. Is that correct? Is that how that works? Shawn: Yeah. There’s a Sephora plant that it’s commonly adulterated with. Even when we looked at an ingredient that we use, Grains of Paradise, it’s commonly spiked with ginger, like we talked about. What’s the other one? The cinnamon, that can be spiked with grape seed extract or green tea for polyphenols. So yeah, it happens a lot with these popular ingredients. These suppliers say, “How can we get more margin? How can we come in at the lowest price and beat everyone else so that people will buy our ingredient?” and that’s how they do it. They adulterate the ingredient with another plant from the plant kingdom that has that active, but is much cheaper. But the problem is, if it’s not that pure ingredient, that pure plant like it was in the study, and maybe it tests out for one bioactive, like you said, but there’s all these other bioactives that aren’t getting accounted for that you’re missing out on if they’re spiking it. And it’s also just disingenuous from the beginning. But if you’re missing out on these other bioactives, it may not have the same effect. Just because it’s standardized for this one thing in that study doesn’t mean that’s the one thing that’s doing all of the benefits that’s happening. Tim: Yeah, I think that’s a really good way to look at it, overall, and it’s just unethical. Just to kind of take a one-off there before I come back to that, to take it even a step further, what is even more beneficial, more interesting is that BioTrust often uses the exact ingredient that was used in a study. So an actual patented branded ingredient, right? So you know Metabo379 is an example, Joint 33X is another example, Ageless Body is another example where there’s actual ingredients, these branded patented ingredients. So you know you’re getting exactly what was used in a study. Shawn: Most companies that I know of aren’t going through all these various steps. Even big companies. Some of the most elite companies, multi-billion dollar companies are doing proprietary blends. They’re not doing studies at a university. And that’s like the biggest companies that aren’t necessarily doing anything illegal, but they’re not going the extra step either. Tim: Not going the extra mile, exactly. Shawn: And you won’t see a product that has only branded ingredients, like that’s crazy, like our Joint 33X. But yeah, we use so many different branded ingredients that have just great research on them. When we talked about it at the beginning in the last one, in Episode 1, where we do that competitive analysis and we look at the research behind an ingredient, we get super-excited about branded ingredients and multiple studies on that specific branded ingredient. We know the quality is going to be there every single lot. That’s very exciting to us, to start with that as the groundwork to really figure out how to make the best possible product. That’s a wonderful place to start. And there’s so many studies on our ingredients. You think about curcumin, or CurcuWIN I should say, the one in Ageless Body. I mean how cool is that ingredient? Like 46 times the bioavailability versus the Piperine Curcumin that’s 1.3x, or the liposomal phytosomal curcumin that’s I think around 8x. So this is 46 times and it just smokes all these other “bioavailability-enhanced” forms. And that form that we use, CurcuWIN, is EDC-free, which is a toxic solvent residue that’s left over in most of the curcumins out there, and never gets talked about. But here again, we test for those things, we make sure those things aren’t there. That’s the other thing we didn’t mention. Some of these companies come out with this product in like two months. It takes us a year from start to finish. That’s massive. Our time of research and testing out each ingredient, finding out where it was sourced from, having all these documents in place, doing stability testing. And that’s another thing that most companies don’t do that we’re doing. We’re doing what’s called “accelerated and real-time stability.” We’re making sure that these products meet shelf life at two years or 18 months or whatever is on the package. That it meets everything that’s on that label, not only at time of manufacturer but at the end of the shelf life it still needs to test out, and we’re doing that. Sometimes we have to put in overages of the ingredients, and there’s cost associated with that. So we’re doing all that. There’s no corners cut by BioTrust. Tim: Yeah, man, you just rattled off some great points. Because they may not necessarily be scams, but they really highlight that there’s corners to be cut. And I think going back to the forms, when you talked about curcumin, the different forms of curcumin, that’s just one example of different forms of ingredients. Just because a number is on a label, and even though that number may be accurate in terms of the amount of the ingredient, that doesn’t mean that you’re going to use all of that. So, just to rewind for a second, when you talked about curcumin, that’s poorly absorbed. It’s not very soluble in the body and there’s multiple different reasons why your body may not absorb it. That’s why if you took just a standard turmeric powder, you might need to take like 10 grams or something to get any kind of benefit. But just a standard curcumin powder is not very well absorbed either. So, to get the same health benefits, you’re talking about 46x, 8x, and things like that, that you’d need to take 46 more times of that standard curcumin powder than the CurcuWIN that we use that’s been shown in multiple studies to have benefits. So, I think the bioavailability thing is important to discuss and that’s something that we’re looking at with every ingredient. Shawn: With bioavailability enhanced, what else do we have? I can’t think of it. Tim: Not right off the top of my head, but another example since you talk about Ageless Body, was the Sensoril that we use. That is a form of Ashwagandha, and it’s a branded ingredient that’s been studied. But most Ashwagandha is typically standardized for a part of its component, most Ashwagandha is somewhere between like 2.5 and 5%. Well, Sensoril is 10%. So we’re finding the most potent versions of these ingredients as well. Shawn: Yeah, our Rhodiola is like that too. It’s a much higher concentration of the actives. Yeah, exactly. I think we definitely go all out to minimize the amount of capsules needed, also. Like these more concentrated forms are much more expensive, but we try and give it to you in a number of capsules that’s realistic, that you’re going to want to take these on a daily basis and stick with it and have the product work. Because if this was something that yeah it could be cheaper but we need to do it in 6 to 12 capsules a day, there’s going to be a lot of people trailing off in terms of compliance, so therefore it’s not effective if you’re not using it. So we definitely try and concentrate things as best as possible so that it’s in as few as capsules as possible, or tablets, or powder, so that it’s realistic for that person to take it, use it, enjoy it, see the benefits from it. Tim: Yeah, absolutely. And like you talked about Joint 33X is a perfect example of that, where it’s one tiny capsule once a day versus 8 to 12 horse pills, like we talked about before. Maybe another one to cover, since we talked a little bit about spiking and adulteration, is protein. Shawn: Yeah, that’s a crazy one. I worked with a guy, Dr. Rob Wildman, and we brought this to the industry and we really brought light to this practice that was happening when I was with another company. And it still goes on some, but man, it’s crazy what was happening. There’s something that’s called a Kjeldahl test that tests for nitrogen, and then there’s something called a nitrogen conversion factor, when you take that nitrogen level and you say well it’s a whey protein, it’s a dairy protein, so we’re going to use this 6.25 multiplier. So you’re just looking at grams of nitrogen and then you multiply it through and you say okay this is grams of protein that’s present in this product. Well, when whey prices skyrocketed, in particular, some years back, many companies found these other ingredients that are nitrogen-rich, like creatine, glycine, arginine, taurine that are very cheap ingredients. Not necessarily bad, but they all have their potential purposes. I’m certainly a huge fan of creatine. But these ingredients are nitrogen-rich and much cheaper than whey. So what was happening is some of these proteins out there that were listing 25 grams of protein, were 10 grams, 15 grams of protein. It was a massive scandal, and BioTrust has never, never, never added those ingredients, never spiked the product so that we can save money, and we can scam the consumer. We would never do that. That was actually a huge concern for me when I was coming on the team at BioTrust. It’s one of the first things I looked at. I did heavy testing on our protein to make sure that wasn’t happening from the supplier end, that wasn’t happening on any level with our products because that was a massive scam. And people that want that level of protein, if you’re not getting that the 25 grams of protein, you may not be turning on what’s called muscle protein synthesis, optimally. The whole reason you’re taking the protein, it may not happen at that dose that you’re getting it at, which is a really important point. So that’s where the consumer is really getting scammed. Tim: Agreed. You talked about that you’re not getting the correct amount or ratios of amino acids that you need. Leucine is a good example of that. And even with whey protein, there’s so many potential benefits beyond just what people are thinking about, from some of these other biofactors. Tim: Exactly. People don’t really realize that, but if you’re only getting 10 grams versus 25 grams, maybe you’re not getting those immune system benefits and cardiovascular benefits, and things like that. While we’re on the topic of protein, another thing that I think what our Co-founders, Josh and Joel, are very proud of and we are too is that our entire line of products is all‑natural or made with natural ingredients, non-GMO. And that can be pretty tricky when it comes to protein powders, especially making them taste good. We’re talking about, like you mentioned in the first part of this episode, is that we’re using proteins that come from happy, healthy, humanely-treated cows that are not treated with artificial growth hormones or antibiotics. We’re not using artificial sweeteners, flavors, colors or preservatives, and that can’t be said across the board. Each one of our flavors are built from the ground up, based on that profile of the product, and each product is unique. We’re taking that extra time to go from the ground up, to give the customer the best-tasting product, and it makes a huge difference when you build it that way, like really from the beginning. And then you sweeten it and use the right acids. Like if you want a strawberry, it has to a certain level of malic, a certain level of citric acid to bring out that strawberry flavor and make it pop. And these other companies just don’t understand how to do that exactly. They don’t have the knowledge, that they’re not going to take several days to fly to that flavor house and work in their lab and be side-by-side with these scientists, side-by-side with these tasting experts, these panels. Then when we actually get that product and run a pilot run, which is a small run. We do scale-up runs to make sure everything’s done right every step of the way. We have the whole team test it. We say with our team internally, “How does it taste?” Then we send it out to some elite customers and we say, “How is this product? How does it work for you? Does it mix well? Does it taste right?” We get all that feedback and we continue to make tweaks, continue to make tweaks. Then by the time we hit a full production run, we’ve done so much testing; whether it’s the flavor, the raw materials, the stability of that product, everything is spec’d out so that it comes out the right way every time, every lot, and that’s a huge difference. When we sell you a product, it’s going to be everything that it says on that label, and that’s very unique. Tim: That is like a perfect way to summarize everything, the way you just did it. The testing, is just a perfect example of all the testing that goes into it, from start to finish. All the research that goes into it, from start to finish. The incredible amount of patience. I was reminded, I have a one-year-old daughter, and it reminds me of The Tortoise and the Hare. You know, slow and steady wins the race. Because you have companies that want to do this, get this done yesterday, and are willing to cut all those corners in order to capitalize on something that’s trendy or hot, and just whatever was on the TV show or whatever. But the patience to do things the right way, from start to finish, I think you really capitalized on it. Shawn: That would be cool. I like that idea. [Tim laughs] I’ll have to talk to Josh about that. Maybe if the listeners really pushed on that one and say we need a biodynamic wine that is organic and just incredible flavor. All you listeners out there that want a special BioTrust wine, [laughs] maybe we should work on that. Tim: Exactly. Well I think we covered a ton here, Shawn. An enormous amount of information, and hopefully it highlights some of the customer concerns or consumer concerns. It not only validates some of that skepticism, but also fortifies trust in a company like BioTrust. And we really want people to know that we’re here for them, and if they do have questions about our products or other products that are out there, that they can ask us those types of questions. Because this is going to be a platform for us to address customer questions and concerns. We really want this to be an interactive platform. We also have a VIP Facebook group that we want people to join, and that’s where we can additionally answer questions about fitness, nutrition, lifestyle, and supplements. Just again, helping people live an optimal life. And people can go to Facebook to find that. It’s just BioTrustVIP at Facebook. They can check out our blog. Go to http://www.BioTrust.com/blog and we try to stay really current with what’s going on and do things there, too. So anything else you want to add Shawn? Shawn: No, I’m just super pumped about the potential of this podcast, and hopefully all you listening out there let your friends know. And like Tim said, join the various social avenues and we have other great material that’s available on our blog. Some great articles. It’s a much bigger picture than just supplements, like we said at the outset. This is about healthy living. We want to discuss fitness, nutrition, different apps that might help you live a better life, different devices or like anything. We’ll talk about blue light and things like that. We’re going to dive into everything. So please support us. This is a community that we’re trying to build and we want your contributions. We want your thoughts and we want your help growing it. So this is for you, and Tim and I are here to make that happen. So, we really appreciate your support. Thanks everyone. Like the show? Please leave a five-star review on iTunes or Stitcher. Have a question for Shawn or Tim? Just head over to Facebook and search “BioTrust VIP.” Post your question there and you’ll receive free weight loss and health coaching from Tim and Shawn. Signing off for now. And remember, you’re just one decision away from better health and a better body.